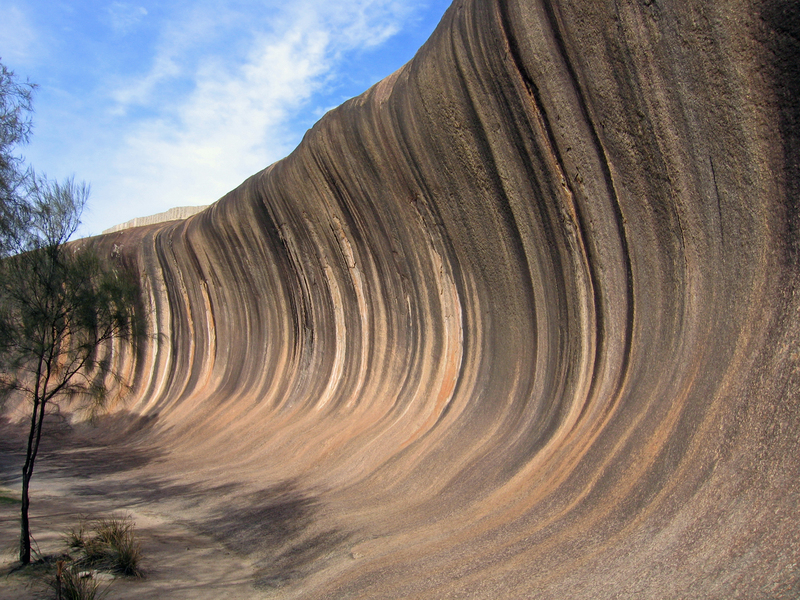 The Wave Rock derives its name by its form, which looks like a giant ocean wave ready to break everything on its way. 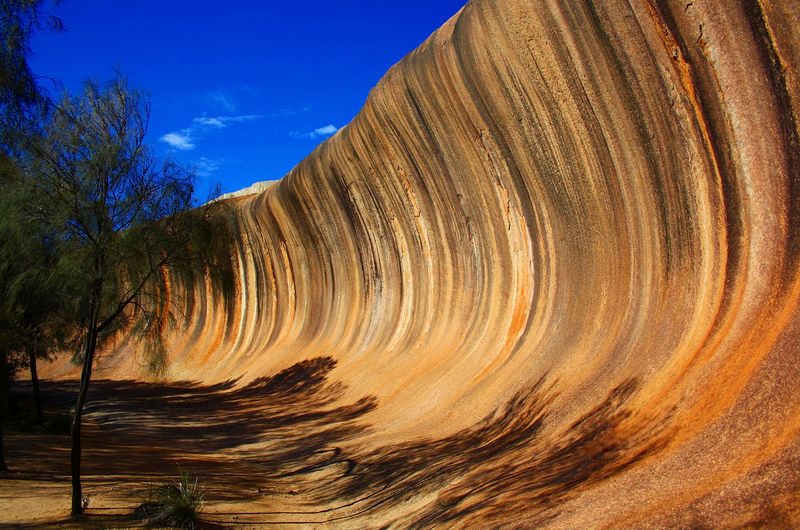 Wave Rock is the part of a 160-hectare nature reserve, Hyden Wildlife Park. 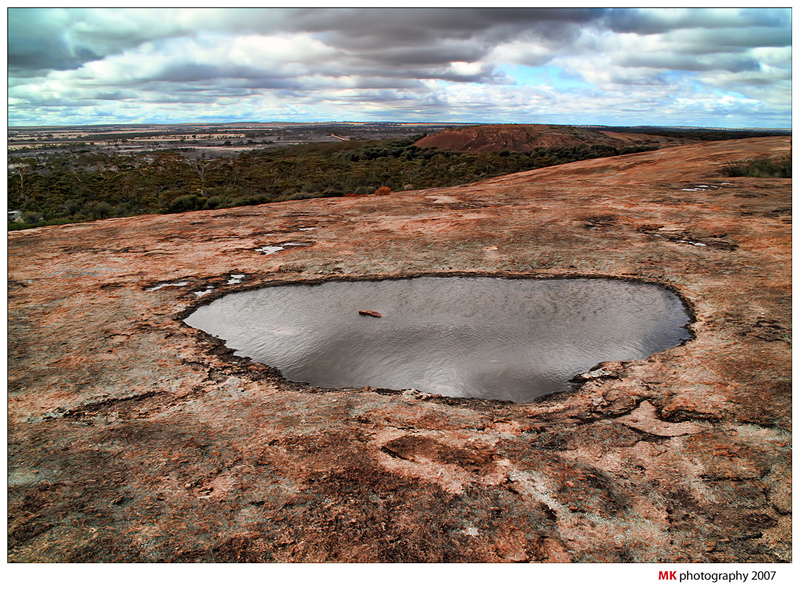 A puddle at the top of Wave Rock. The “wave” is about 14 m (47 ft) high and around 110 m (350 ft) long. It forms the north side of a solitary hill, which is known as “Hyden Rock.” This hill, which is a granite inselberg, lies about 3 km east of the small town of Hyden and 296 km east-southeast of Perth, Western Australia.